These balls are also known as three-star balls. They are used in official table tennis competitions. Butterfly, Nittaku and Double Fish make these balls. Sometimes people will say 5-star ping pong balls are top of the line. They don’t know what they are talking about. Three-star is the top line star rating system for official ping pong balls. Below I provide the image, a brief review and link to where you can find the lowest price for each of these ping pong balls. The Butterfly Three Star Table Tennis Ball Six-Pack contains six of Butterfly’s three-star 40-millimeter table tennis balls in either white or orange. Butterfly’s three-star balls have been chosen as the official ball of the ITTF World Junior Circuit through 2007 and were the official ball of the 2004 North American Olympic Doubles Trials. 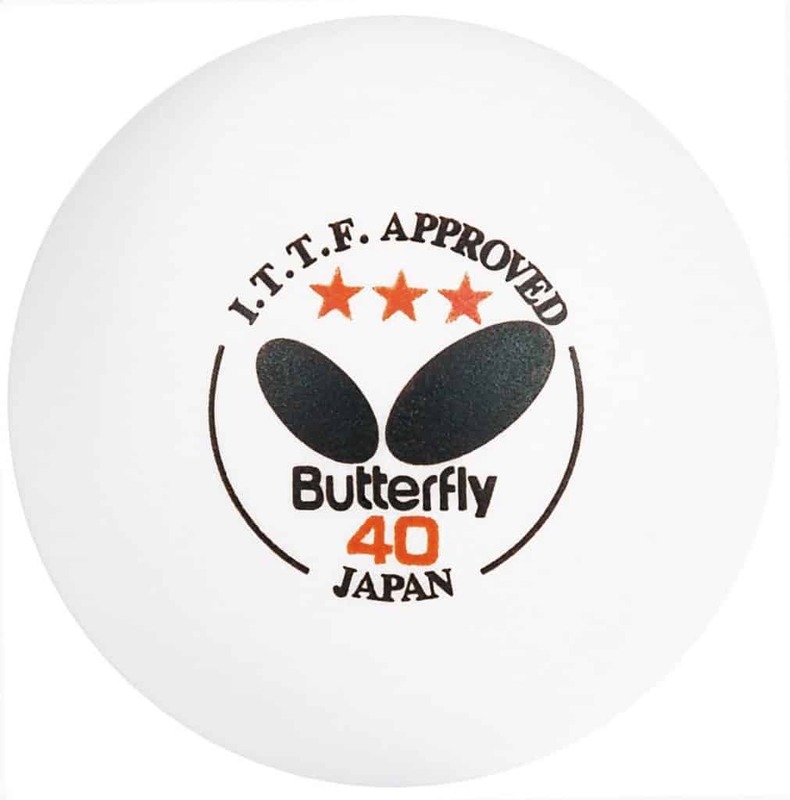 USATT and ITTF approved, only the best table tennis balls are included in Butterfly’s three-star packs, and are chosen for their exceptional roundness and consistency through a rigorous quality-control process. 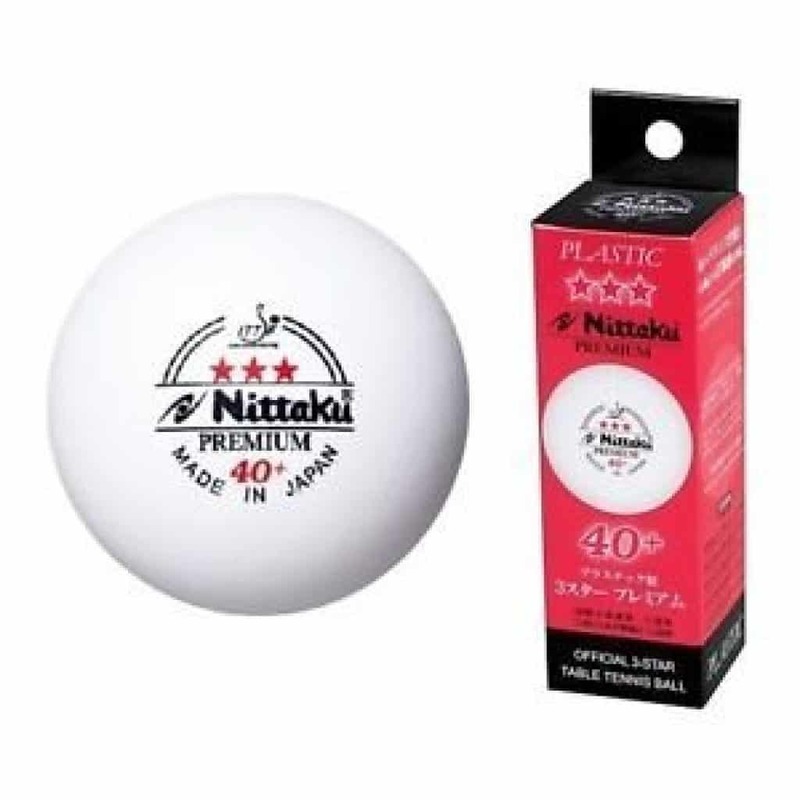 These 3-Star 40+mm premium poly balls made in Japan. ITTF approved for international competition. These balls have a predictable bounce according to the players. Players prefer these balls over balls made from other materials. 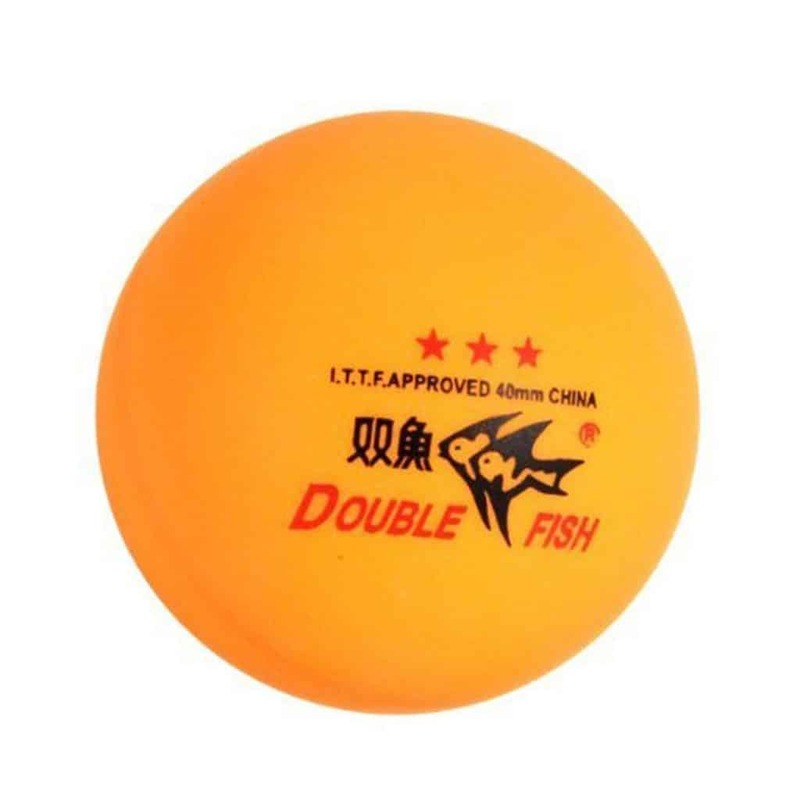 These Double Fish ITTF Approved 3-Stars Table Tennis Ping Pong Ball 40mm for Match. The ball colour is yellow, which makes it easy to see and player say despite the fact they are cheap in cost, they are good quality balls. They are suitable for recreational and advanced players. I highly recommend these balls if you’re just starting out. I hope you like this review of best ping pong balls. Remember three-star ping pong balls are the best as they meet three requirements. And there is no such thing as five-star ping pong balls. 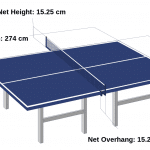 For my review of ping pong tables, check out my post best table tennis tables For my review of ping pong paddles, check out my post best ping pong paddles. For our other reviews or not so expensive table tennis equipment, please see the relevant article titles and links below.